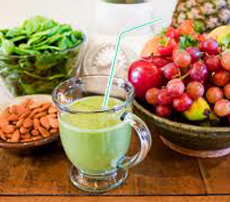 Body detox is among the best ways of keeping ourselves clean and healthy, besides other methods such as special diets, vitamin supplements, natural therapies, and so on. An important step in a full body detox is to restore or also to replenish energy levels to make you more alert in different areas of your life, such as at work. A body cleanse or body detox is also a great way to give your body a boost after a night of over-indulgence, eating all the wrong foods and consuming more alcohol than is healthy. That is why body detox is needed because some mortals are having this kind of lifestyle.